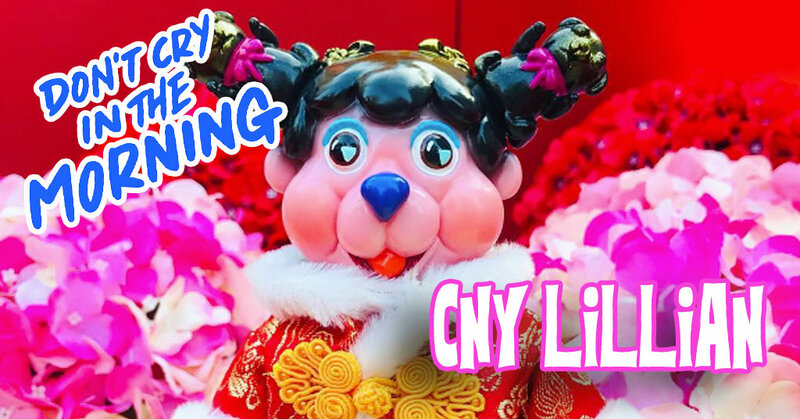 In order to celebrate the Chinese new year, Hong Kong’s “Don’t Cry In The Morning” dresses up their Lillian soft vinyl doll for the occasion. A very special Chinese New Year Lillian limited run of only 10 pieces. Sales start at 30 Jan, 8pm HKT at www.dontcryinthemorning.com. “Don’t Cry In The Morning” was founded by Two Hong Kong local artists since 2013. Mainly doing Resin Toys, Painting and illustration. Works are designed and built upon from their fantasy, dream and life experience. Imagine that turning the characters into three-dimensional toy, let it entering to real life and start a new story with them. All Toy products are hand made by two members step by step from design, modeling, mold casting, polishing and coloring. Each toy figure is unique. Feel the satisfaction by holding a handmade toy figure in your hand !